If your movie is not a sequel, known franchise, or adapted from existing material, you cannot survive in the summer landscape. That’s what we have with Pacific Rim this weekend. Will it do better than films like After Earth or White House Down? Absolutely. But with an estimated budget of around $180 Million, it will be considered a disappointment. I know Monsters Vs. Robots seems like a guaranteed blockbuster, but not in today’s times. I am also aware that Guillermo del Toro is directing this movie. But what people need to understand is that while Guillermo del Toro has a passionate following, he is a niche director. His fans are loud, but ultimately they aren’t many. It’s the same reason why shows like Firefly and Arrested Development get cancelled. 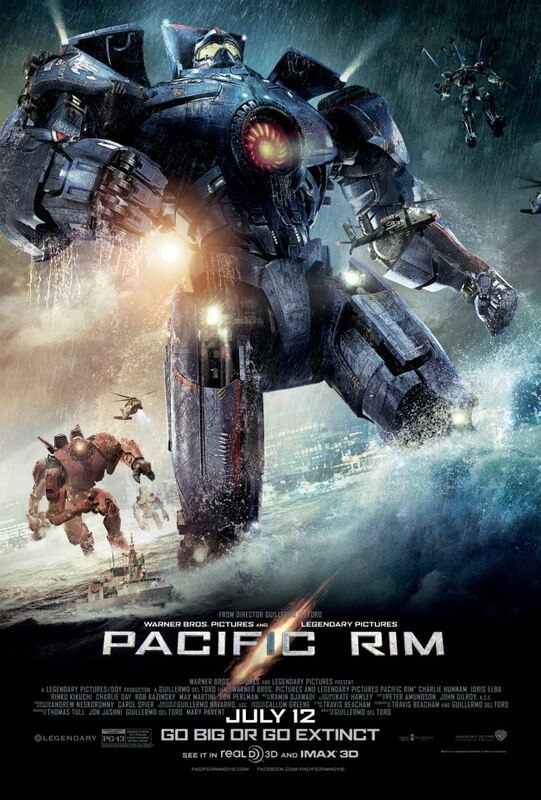 Pacific Rim will open solid, but be forgotten about pretty quickly. The other big movie this weekend is Adam Sandler’s Grown Ups 2. This is shockingly Adam Sandler’s first sequel … wow. Sandler returns with Chris Rock, David Spade, and the painful Kevin James. Where’s Rob Schneider? Oh wait, I don’t care. The first Grown Ups in 2010 opened to a cool $40.5 Million, but Sandler’s movies have been declining ever since. This will fall somewhere in between Sandler’s recent outings and the first Grown Ups. In my first box office predictions piece, I’m actually going to call an upset: Despicable Me 2 will hold off Pacific Rim in a tight battle for #1.